Yes, I started singing too! 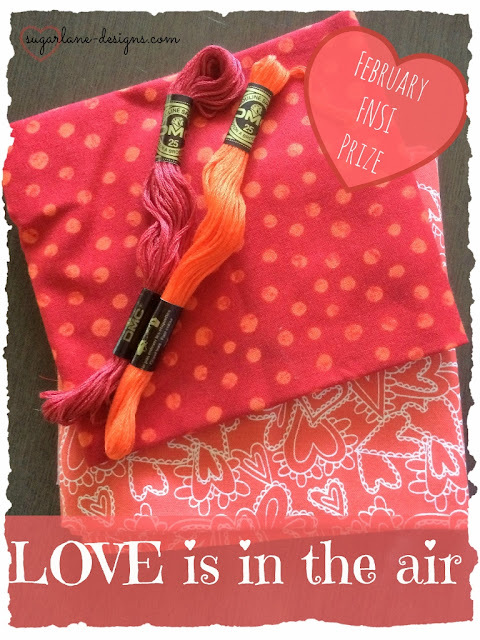 Love is in the air this February and I'm singing because (a) it's Valentine's week, (b) it's FNSI sign up time and (c) I have a prize already organised for FNSI this week! Triple whammy for me..YAY! So, being Valentine's Day tomorrow and FNSI this week, the prize is obvious isn't it? something themed around LOVE perhaps? YEP! Two gorgeous fat quarters and matching threads to create something beautiful for someone you love. Wouldn''t it be lovely to win this month? All you have to do is link up below and join us on Friday night for a blissful night of stitching and creating.....heck, you can even lounge in your heart-covered pyjamas eating all the valentine's chocolate you want...we won't judge! AFter all, a bit of self-love is always called for! If you're new to FNSI and still not sure of how it all works, click on the FNSI tab above and it will explain all. And don't forget to share on your blogs and social media. The more, the merrier! got to get working on my Nundle projects! I have some secret sewing to finish off. I'll be on retreat, so tons of sewing happening!! What a l♥vely way to continue Valentine's Day all through the week! 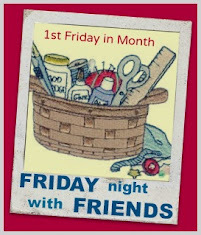 Looking forward to stitching with everyone Friday Night! Hmmmm! What to choose from the pile lol! I have Friday off and a four day weekend, so I am in for sure! Hopefully, no one will distract me! Going to keep plodding along with my cross-stitch! Also going to buy myself rainbow fabric for a 365 day block quilt! I haven't attended for months now. I'm looking forward to it!! I only just made it but I am in I have a little something to work on! My first time joining...thanks for the extra motivation! Thanks so much for hosting this worlswide sewing bee :-) Enjoy your weekend! Looking forward to some Friday night sewing. I have my chocolate all ready!